Riveting. This book puts you in the action on the tragic night of September 11-12 in Benghazi, Libya. I didn’t know much about what happened that night except for what is in the news. I wanted to know what really happened, without the political slant that all the news outlets seem to add these days. Unlike the other book I read (Under Fire), this book brings the action to life in a edge-of-your-seat kind of way. Told by the author after intense interviews with the Annex Security Team, it gives you insight into what was going through the minds of the brave men (and women) who were serving the US Government that night. Tragically, 3 operators and the Ambassador to Libya lost their lives in the assault on the diplomatic compound and the CIA annex. Heart wrenching as it is, their story is one of courage and bravery in the face of absolute hate. 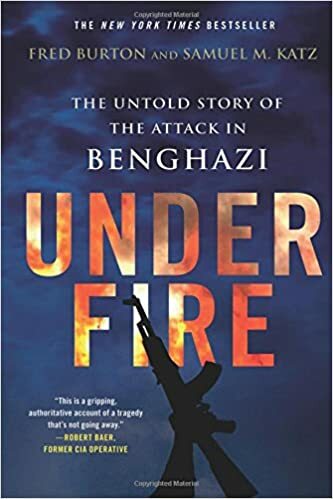 I read this book because I wanted to get another perspective on what happened on the fateful night of 11-12 September, 2012 in Benghazi, Libya. I knew that 4 people were killed, including the Ambassador to Libya, J. Christopher Stevens. 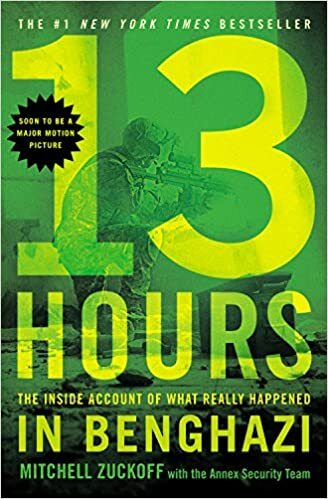 I had read 13 Hours by Mitchell Zuckoff and wanted to know how much artistic liberty he took. I still don’t really know the answer. This book was full of detail, but not about the attack at Benghazi. If you want to know a lot about the DS, then this book might interest you. If you want to know what happened in Benghazi on the night of September 11-12, 2012, read something else. This book doesn’t even get to the first assault on the compound in Benghazi until chapter 10! Then there are the acronyms….I think my head might explode from so many letters. There were acronyms for agencies that really didn’t matter to the story. If you’re a weapons buff, you might like the mind-numbing details of weapons used in conflicts (most unrelated to Benghazi). I found it another tedious layer to sort through to get to the story.